BRAINetwork’s First Mile Project returned to the Belum-Temenngor Rainforest to re-commence its Services for Survival training. The project previously performed the training in RPS Air Banun last August, with the training programme now moving deeper into the Belum-Temenngor rainforest. Our recent training session took place in the indigenous village of Chuweh, running from the 19th – 21st of October. The training was a collaboration between BRAINetwork and the Emergency Department of Hospital USM. Dr. Shaik Farid Abdull Wahab headed the team from the Emergency Department, he formed a team of trainers from doctors within his department, with the addition of two paramedics from St. John’s Ambulance and two USM dental nurses. Dr. Farid complied a team that would perform first aid skills training, conduct small health screening clinics and also provide dental hygiene education to the children in the Chuweh community. When we arrived in Chuweh, we met with Gomba, the head of the village, and he instructed us on what indigenous houses we could use for our two night stay in his village. Gomba allowed us the use of three vacant buildings, two of which we used for sleeping in and one for cooking and eating. We got an authentic indigenous experience, getting to use and sleep in the same houses that they dwell. Dr. Farid, who has great experience working with the Orang Asal in Kelantan, described the houses as 4 star rainforest accommodation, in comparison his usual experience, camping in the rainforest. After our cooking and sleeping areas were set up, the team got to know some of the locals before engaging in a CPR training session with the young adult males of the village. The males were hesitant at first but seemed to get more relaxed and more involved as the training progressed. The males said that they had never engaged in any training of this nature before, which could be vital to them with their village located along Lake Banding. The doctors started off the second day with a health screening session in the village examining anyone who presented with a problem and also performing proactive screenings with those who had no complaints, this led to our team identifying that hypertension was prevalent among the elder males of the community. Simultaneously, the dental nurses educated the children on how to brush their teeth, providing toothbrushes and toothpaste which was sponsored by Colgate. When the children were finished with the dental nurses, they enjoyed engaging in some games and some colouring activities with our team. 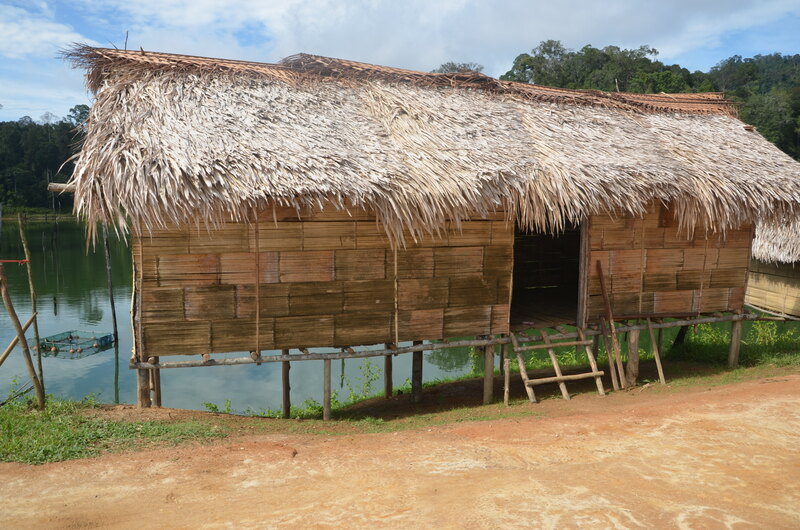 Following the health screening, the first aid skills training began with the adult females of the village, with the adult males of the village preoccupied in the rainforest, going about their daily routine of hunting and fishing. The group of females were joined later in the day by some adolescents from a nearby village who were interested in the training. This was a really active and engaging session where the females learnt a range of skills including CPR, how to clean wounds, apply bandages to wounds on different parts of the body and also how to apply a splint to a broken or sprained limb. When the males returned from to the village they engaged in the training they missed earlier in the day, and this also proved to be a productive learning session. We hope to hold a follow-up session in 2-3 months time in Chuweh, where we hope to refresh their memories to the skills they learnt on this visit and also introduce more modules of learning to deepen their knowledge of first aid skills. Ultimately we hope that the training will lead to the development of a first aid station in the village with one of the villagers becoming fully trained and empowered to be a wilderness first responder for their village. A special thank you goes to Dr. Farid and his team for their continued support and efforts in our Services for Survival training program.